Temporary residency or permanent residency? Not a few people from around the world are now regularly sizing up the possibility of finding a place to settle in the land Down Under either temporarily or permanently. We are in the position to state the foregoing statement since our company is catering to clients seeking Australian visas as well as those who have concerns about migration to Australia. Over the last couple of years, we have noted a surge in the census of non-citizens asking about various types of visa. To us, the development is not surprising considering that Australia has emerged as one of the safest and most secure — if not the safest and most secure – places on earth to live in. There may be some peace and order issues cropping up sometimes but these are isolated incidents, rather than part of broader problems facing many nations of the world today. If you are reading this article, chances are that you are one of the throngs of people who are aching to get hold of their Australian visa. And, if indeed you are, this we can say to you: Congratulations! You have made the right decision to choose the only island-continent country in the whole world in which to build your next abode. But before you apply for an Australian visa, you need to determine first whether the type that you are going to apply for is provisional/temporary or permanent. This decision further hinges on the purpose of your coming here: Are you going to travel to Australia to relax, do sightseeing of various tourist attractions or visit some friends and relatives? Or are you going to study here? If not, do you intend to expand your business in the country? These and many other objectives influence your choice of the visa that suits your needs and budget, be it for temporary residency or permanent residency. But for most applicants like you, the ultimate goal of obtaining an Australian visa is to acquire permanent residency here. Even if you are seeking a provisional residency now, we know that, in the future, you would lodge an application for a permanent one. Again this does not surprise us at all. Choosing between a permanent residency visa over a temporary type is a no-brainer: The former packs’ benefits and advantages that are a far cry from the latter. Most, if not all, non-citizens go to great lengths to satisfy the conditions of their provisional visas just to be able to obtain permanent residency. You may wonder why this is so. And our reply to that is this: The stakes are so high and too enticing to pass up. First of all, a visa that provides for permanent residency in Australia entitles you to live in the country indefinitely. The operative word here is INDEFINITELY. In addition to that, you can travel in and out of the country as many times as you want. This is something that you cannot do with a provisional visa. In fact, you need to be vigilant about the validity of your temporary residency visa, or else you could be branded as an unlawful non-citizen if you fail to observe the conditions attached to it, most particularly the need for renewal, the application for a bridging visa and other related processes once it expires. If you are here to study, you’d be fortunate to have a permanent residency visa. For one, you enjoy unlimited freedom to take any course of your choice. Not only that: in some cases, the Commonwealth government offers you student loans that are quite helpful to ease up the burden on your pocket or your parents’ pocket. We all know that financial hardships constitute one of the most common stumbling blocks in your pursuit of quality education. With a permanent resident status here, that problem has found its solution. Another key benefit enjoyed by permanent residents of Australia is on health. If you gain permanent residency here, you are entitled to enjoy the privileges afforded to Medicare members. Medicare is the Australian version of a healthcare system, which is one of the best in the world. You could even avail of free medical checks and health treatment in public health outlets here, and receive free medicines if you have certain medical conditions. Most non-citizens living here have to contend also with issues related to work permits. This is such a pain in the neck if you are here on a provisional visa (such as TSS work visa), but not so if you are a permanent resident. In fact, you enjoy the same benefits as the citizens under the country’s industrial laws. These are just some of the many blessings that you can get from the Australian government if you attain permanent residency. There are still more. This is what we are saying in the early part of this article that it’s a no-brainer to choose between provisional or temporary residency and permanent residency. If, for some reasons, you cannot avail of permanent visas and only qualify for provisional types, don’t despair. Your problem is only temporary, too. Just accept your provisional visa because, after only a short period of time, you can ultimately secure the one that you’ve been aiming for. The classic and more common examples of this scenario are the streams under visa subclass 188. This subclass has five streams that are all provisional, namely business innovation stream, investor stream, significant investor stream, premium investor stream and entrepreneur stream. For you to obtain the permanent residency status of any of these streams, you need to lodge an application for subclass 888. You must have lived in the country on your subclass 188A visa for not less than 12 months within the span of two years before applying for subclass 888. You must have operated your own business here for not less than two years before applying for subclass 888. Also, your business must generate a yearly revenue of at least $300,000 for two of the last four fiscal years. For the last 12 months, you and/or your partner must comply with any two of these three conditions: 1. You maintain business assets of at least $200,000, 2. Keep net personal and business assets of at least $600,000 in the country, and 3. Your business here must have at least two full-time Australian employees on its payroll. For your Investor Stream Visa to become permanent, you must reside in the country and hold an investor stream (provisional) visa for not less than two years out of the required four years before you apply for the permanent type. In addition to that, you and your partner must have put in the required investment capital in a state or territory of Australia for the last four years. As to the acquisition of Significant Investor Stream (Permanent) Visa, you and/or your partner must live in Australia for a certain period and hold a provisional Significant Investor Stream Visa. On top of that, you must show proof that you have spent the complying investments in a state or territory in the country for the last four years. A provisional Premium Investor Stream Visa becomes permanent if you have kept this visa for at least one year and have been nominated by Austrade on behalf of the Australian government. As far as Entrepreneurship Stream is concerned, you must be in the country with your provisional entrepreneur stream visa for an uninterrupted period of at least four years before you apply for the permanent 888 version. You also need to show a track record of successful entrepreneurial undertakings in the country. Obtaining a permanent subclass 888 visa from a provisional subclass 188 is an example that shows you can obtain permanent residency from a temporary residency. Hence, there’s no need for you to get discouraged if you manage to secure a provisional visa on your first try. Besides, replacing subclass 188 with subclass 888 is just one of the many paths from temporary residency to a permanent one. There are still many ways of securing permanent status aside from this manner. As we love to say here at Nowak Migration, there are many ways of skinning a cat and there’s always a light at the end of the tunnel. You just need to be patient and determined to undergo the process and be obedient to the immigration laws and regulations of the Commonwealth. Speaking of the many ways of skinning a cat and finding the light at the end of the tunnel, Nowak Migration is the prime immigration agency in Australia to provide you with both. We possess the skills, the experience as well as the credentials to prove to you that we can get the job done as far as visa processing and solve migration problems are concerned. 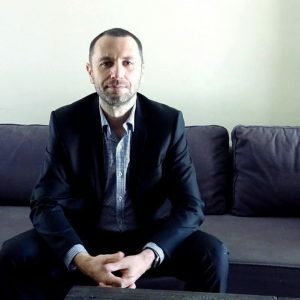 This is because our company is staffed by highly qualified migration agents and headed by an industry veteran in the person of Mr. Charles Nowak. In addition to that, we liaise with various professionals whose skills are needed in the trade such as lawyers, accountants, brokers and the like. If you choose the services of Nowak Migration to assist you in obtaining permanent residency in Australia, you won’t go wrong with us. So much is at stake about your future here, so choose the dependable agency. Touch base with us now by calling (07) 3668 0658. In the meantime, please help us share this article with your friends and family if you find it helpful and informative. Vera – we can assist with getting your visa renewed. Please book a consultation. Sure, we can assist – please book a consultation. My husband, son & I are NZ citizens. We want to move to Brisbane and would like to know if we can obtain PR in Australia at all? Hi, I am on a 457 working in NT in a management role. Unfortunately I am over 50 years of age. We are a family of three with a 16 years old daughter. What are my chances of getting PR, if any? Thanks. What about my daughter? She is attending high school currently. What do you mean? She’s your dependant at the moment – whatever visa you have she’s got it as well. Once she’ll become an adult she may need to apply for her own visa. Why would you apply for another permanent residency visa if you are already a permanent resident? Hi, we are NZ citizens and intend to move to Brisbane soon. I’m an Accounts Receivables Officer and my husband is a Trades Coordinator in NZ. 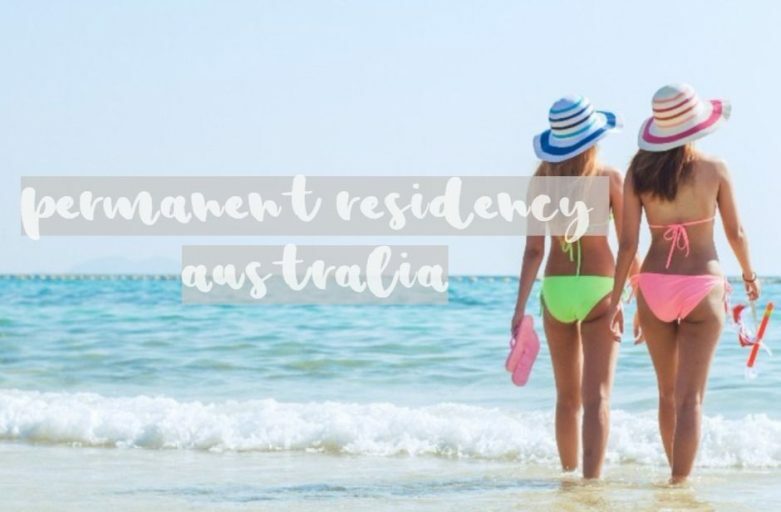 Would we be eligible for permanent residency in Australia? And when can we be eligible? You might be eligible. We’d have to proceed with the whole visa assessment – please book a consultation so we’ll check your eligibility for PR (there is a fee for a consultation). I am on 457 visa which will be expiring in next month and I am planning to apply for PR. Since it is expiring, my company had raised for 482(TSS) sub class visa. My question is, can I apply for PR under 482 visa? Is there any wait period to apply for PR? You might be able to apply for PR even being on 482. There are a few questions which need an answer: how long have you been on 457 overall, how long have you been on 457 with your current employer, is your employer willing to help you getting a PR, and so on… Please book a consultation so we’ll have a chat about your PR prospects. I am on 457 visa , my application was lodged on 28th of February 2017 . And I got 2 years ( 457 visa) on 1st July 2017and going to expire on 30 June 2019 .. M question is that do I have to apply for extension ? or eligible for PR straight way ? You might be eligible for an employer-sponsored permanent residency visa after 2 years on 457 under grandfathering provisions. Book a consultation to discuss it further.